Saturday’s announcement that Raghuram Rajan would not serve a second term as governor of the Reserve Bank of India, the country’s central bank, is bad news – and not just for an India that could well be on the verge of finally unleashing more fully its huge growth and development potential. It is also unfortunate for a global central banking community that is facing its own set of increasing challenges, both political and related to the excessive policy burdens that key central banks have been forced to carry. Rajan brought to the RBI job an admirable mix of talent, academic rigor and courage – as well as profound experience from his time at the International Monetary Fund. Under his leadership, the central bank restored India’s macroeconomic stability, a critical condition for high inclusive growth. Progress was also made in reforming and strengthening the financial system with a view to improving its soundness, efficiency and contributions to growth and development. With such visible and determined progress, Rajan helped enhance the credibility of the RBI. This served as yet another catalyst for higher inflows of foreign direct investment, particularly given the importance that investors place on institutional soundness. Inevitably, Rajan’s leadership of the RBI did not please every politician, including some particularly vocal ones who felt that insufficient attention was being given to specific credit facilities. 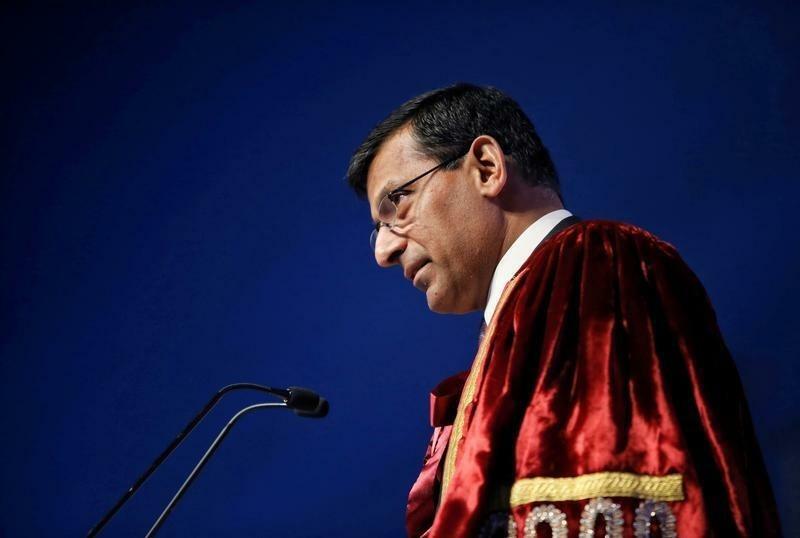 With Narendra Modi, India’s reformist Prime Minister remaining rather quiet in the resulting controversy, Rajan informed his RBI colleagues on Saturday that he would not be serving a second term when his current one expire in September. Rajan’s departure serves as yet another example of messy and noisy politics getting the better of good economics. Depending on who is named as his successor, the losses could well extend beyond an India that now risks slipping on what has been an impressive surge in an important area of policymaking. Rajan is also a highly respected member of the global central banking community. His contributions have proven particularly important when it comes to thinking about the international spillover effects from a period of prolonged monetary policy experimentation by Europe, Japan and the United States. Rajan will be missed, and by many. And while he expressed a desire in his Saturday notification to return to academia, the world would surely benefit from him eventually assuming a top position at an influential multilateral economic institutions … be it the BIS (Bank for International Settlement), the IMF (International Monetary Fund) or the World Bank. Follow him on twitter (@elerianm), Facebook and LinkedIn.